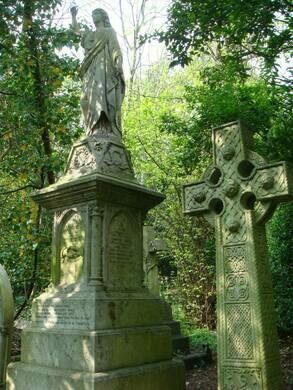 Opened in 1839, Highgate is one of London’s most infamous cemeteries, originally opened as one of the city’s “Magnificent Seven” park cemeteries. 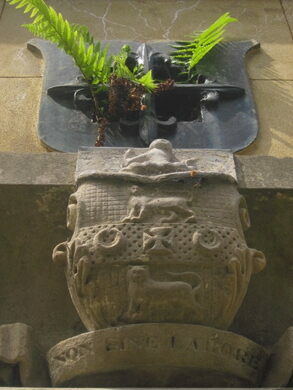 The initial design was carried by an architect Stephen Geary. 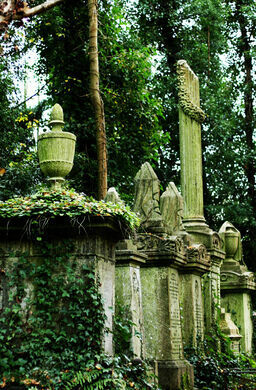 Among the impressive Victorian and Egyptian influenced tombs are the gravestones of Karl Marx (recognizable by the glowering bearded bust); sci-fi author Douglas Adams; James Holman, a sightless 19th-century adventurer known as “the Blind Traveler” (a pioneer of “human echolocation,” he was able to sense his surroundings by the reverberations of a tapped cane or horse’s hoof-beats); and Adam Worth, a famous criminal and the possible inspiration for Sherlock Holmes’s nemesis, Professor Moriarty. 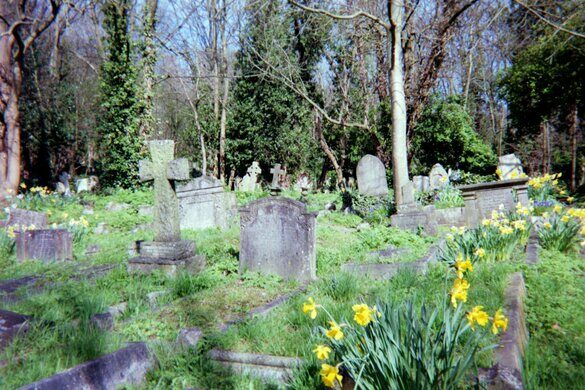 Comprised of Kensal Green, Highgate, West Norwood, Abney Park, Nunhead, Brompton and Tower Hamlets cemeteries, the Magnificent Seven were created in 1832 as part of an effort to move burials out of the City of London in response to the twin pressures of the health concerns about overcrowded churchyard cemeteries, and desires for build-able land in the rapidly expanding city. 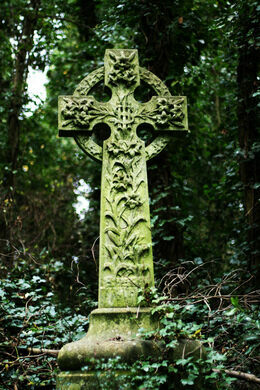 The cemetery’s tombs and buildings are constructed in an imposing Victorian Gothic style and during the mid- to late 1800s it was a highly sought-after burial ground. 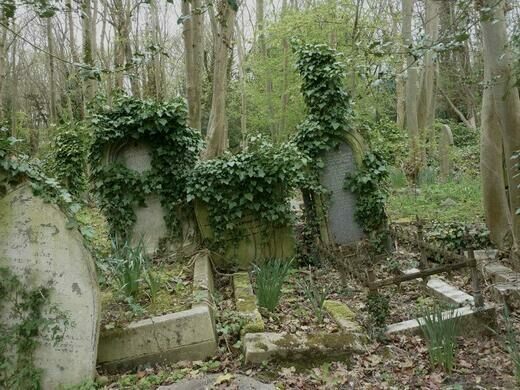 However, by the end of WWII the cemetery was overgrown, unattended, and in serious disrepair, all of which added to its creepy feel. 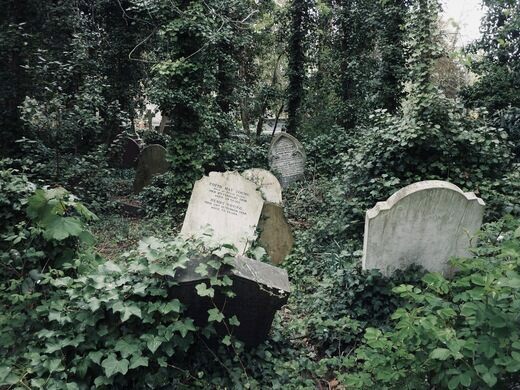 In the 1970s the infamous cemetery became the location for another English Gothic tradition, the horror films of movie studio Hammer. 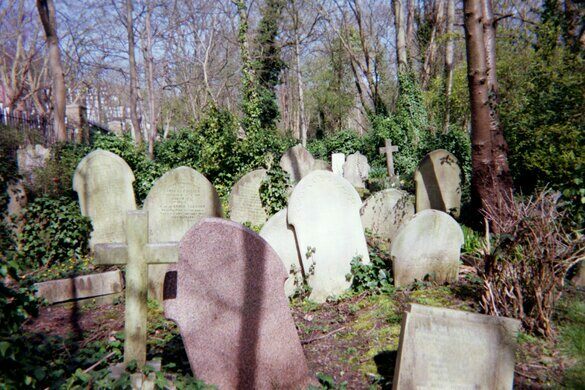 These films regenerated public interest in the cemetery, and stories of grave robbing, desecration, and vampires in Highgate began appearing in the news. The two magicians were supposed to settle the debate with a magicians’ duel’ but it never happened. 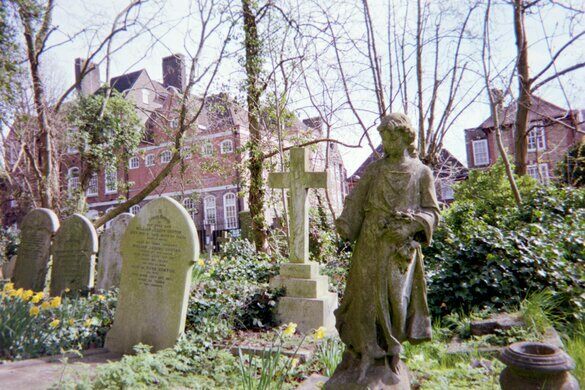 Farrant was arrested in the churchyard next to Highgate Cemetery with a crucifix and a wooden stake and in 1974 was jailed “for damaging memorials and interfering with dead remains in Highgate Cemetery.” Though neither magician found the supposed vampire, in the various “hunts” graves were ransacked and real corpses were indeed staked and beheaded. 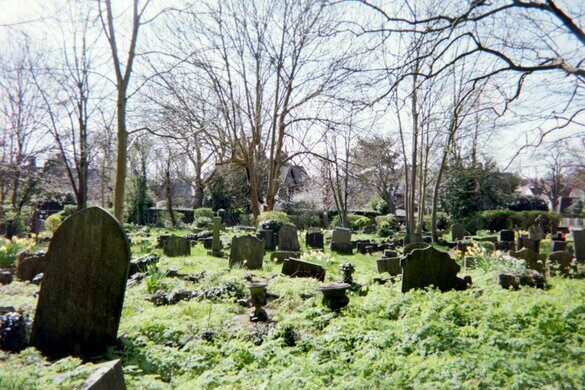 The debate between Farrant and Manchester continues to this day, while the cemetery remains a popular location for occult, paranormal and vampiric enthusiasts. 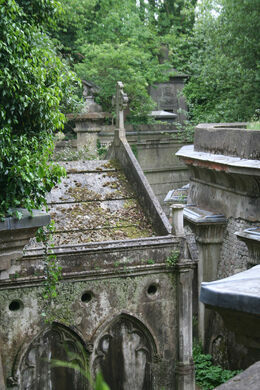 The West Highgate section, which is the most overgrown, can only be visited on a guided tour. 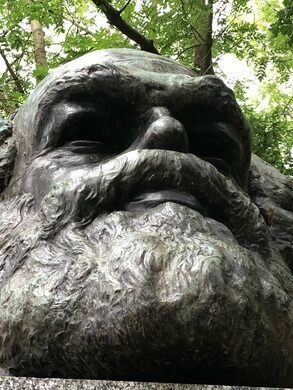 The East Highgate section, however, including the grave of Karl Marx, can be explored on your own, but you need to pay an entrance fee. 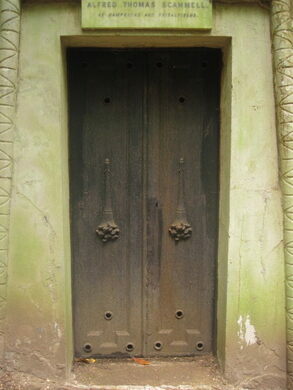 The cemetery gates are open to visitors daily from 10 a.m. to 4 or 5 p.m. (depending on the season). 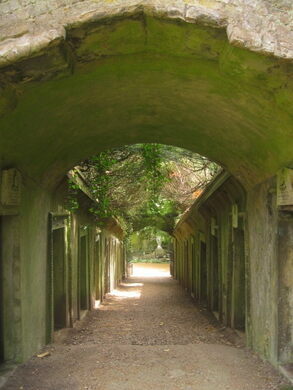 From Underground stop Archway (not Highgate). On leaving the station, turn left and walk up Highgate Hill (past the Whittington Hospital) until you get to St Josephs Church (obvious by its large green copper dome). Enter Waterlow Park on your left and go downhill across the park (past the duck ponds) to the Swain's Lane exit (below the tennis courts). The walk takes about 20 minutes. 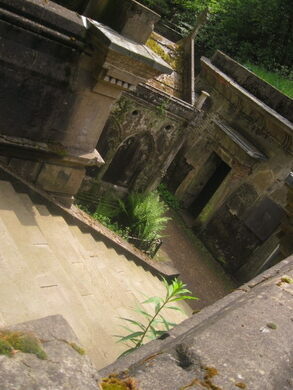 Note: photography is strictly limited in the cemetery. From their website: "Ticket price includes permission to take photos for personal use only. Video cameras and the use of tripods are not permitted. Photographers are asked to ensure that their photographic activities do not impede the progress of tours." 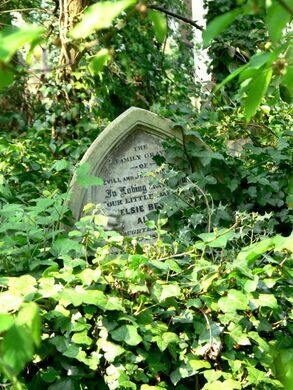 An unsanctioned shrine that sprung up outside the late singer's home is causing a stir in London's Highgate neighborhood. Following the trail of an old metro line, this scenic path is haunted by a creepy spriggan statue.